Your city is utterly destroyed. You live in the ruins, like a cockroach after the nuclear holocaust. You have inched away from the open grave and into life. You’re one of the survivors – not because you’re stronger than those who died but simply because you are alive. The war is over, and a far away man has promised you sunlit uplands – your reward for being on his side, the “winning” side. Where your city once stood, the map is blank. You could attempt to create greater beauty than you lost. You could complete the transformation from stately old age, through rubble, to youthful modernity. But you don’t. Brick by brick, you rebuild a pre-war identikit: you recapture your lost world. In researching A Chance Kill my novel-to-be, one question I needed answers to was, what was Warsaw like in 1939, before annihilation? 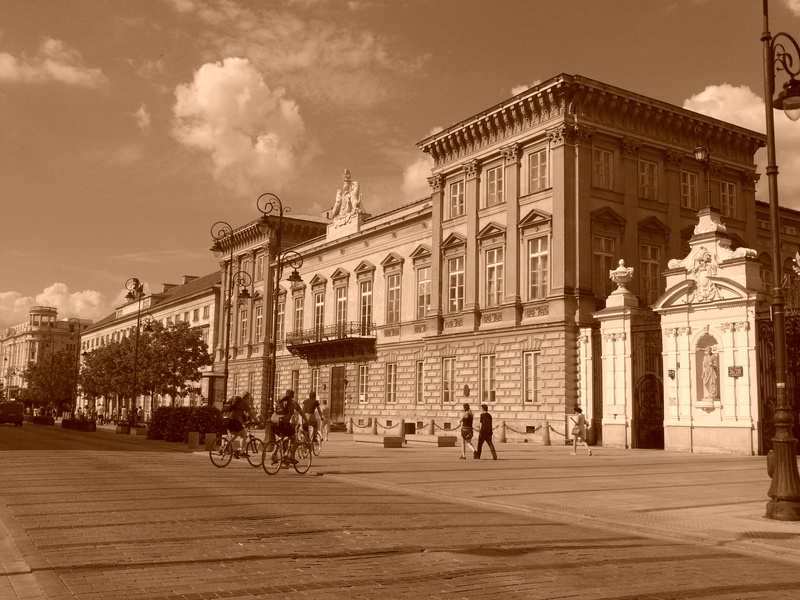 How do we know what Warsaw looked like before World War II? Go to Warsaw and you’ll see. 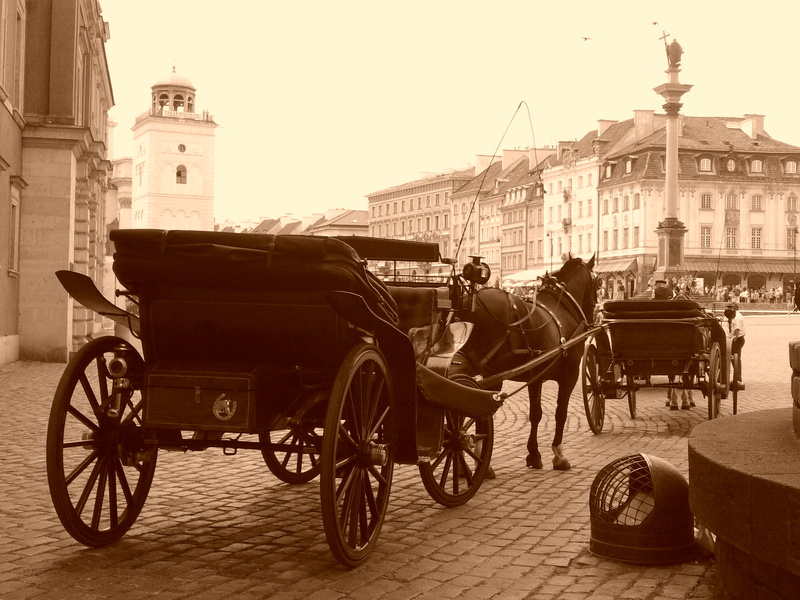 The three photographs above are of Warsaw today, seen through a sepia filter. 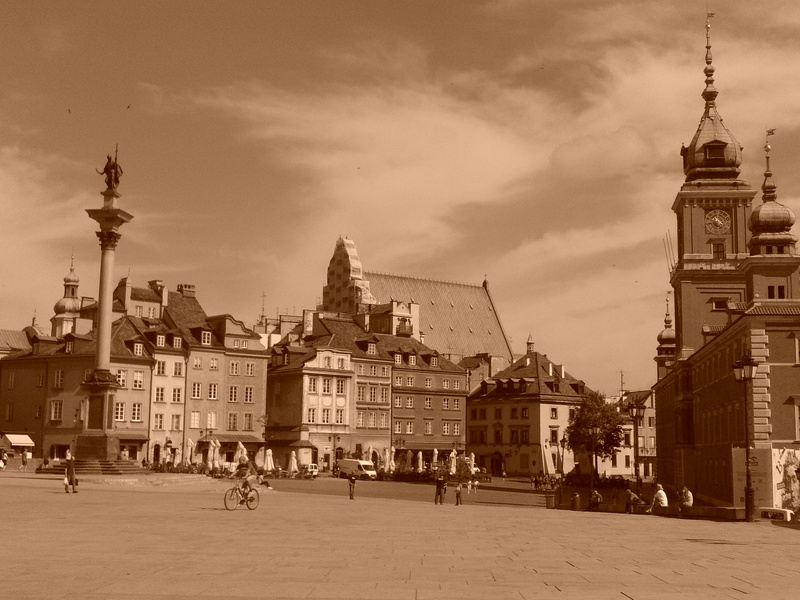 How do we know what pre-war Warsaw felt like? Because historians pursue passion: Joanna Urbanek (of the University of Warsaw and the Museum of the Second World War, Gdansk); Tomasz Jasionek (Polish Army Museum); Grzegorz Hanula (Warsaw Uprising Museum). It has been a privilege to spend time with passionate historians exposing history – thank you.